Beautiful, responsive and SEO friendly websites priced for small business. No set-up fees. No contracts. Your Customized Production in 5 Steps! Spend a little time, one on one, with a web expert to discuss what it is you're hoping to achieve. Working together. we'll figure out exactly what your site should include. We'll assign a creative team to write copy and create a design guaranteed to inform and engage your customers. Take a look at your site to make sure it's doing exactly what you want it to do. We'll get your site up, running and ready to reach and engage customers.  Why Killerspots website development and management? Let’s just say that our Killer approach is not your typical “build a website and walk away” model. In today’s competitive marketplace, there is way more than having “just website”.Through web design, we’ll help you keep visitors on your site for longer and drive sales with a clear call-to-action. Plus, we’ll focus on the coding required to ensure your business website is Google and Mobile device optimized. Killerspots has you covered… Guaranteed! We have a complete in-house department that builds your website, updates content daily, designs custom graphics and images, and supplies your website some web boosting proprietary programming and products that no other web design firms offer anywhere. Plus, we will send you reporting of your growth monthly. Add our Social Media Monthly package to your Website package and watch your sales grow! Your success is our success. Let’s make history together! As a full service advertising agency we approach web design with a holistic, long term approach. Whether you’re upgrading from an old site, or getting a brand new site, rest assured it won’t just look great; it will work well to convert your visitors into sales. Lead generation forms, e-mail marketing campaigns, social media integration, e-commerce shops, video production – we can build every aspect of your marketing strategy into a user friendly conversion machine. Need help with your marketing strategy? We have experience building and executing multi-media, cross channel campaigns that have kept clients in our rolodex, despite the fact that most of our services require no contracts. We rely on results, and with Killerspots, that’s exactly what you get. Affordable web design development for business. No set-up fees. No contract. No commitments. Let’s just say that our Killer approach is not your typical “build a website and walk away” model. We have a complete in-house department that builds your website, updates content daily, designs custom graphics and images, and supplies your website with web boosting proprietary programming and products that no other web design firms offers. As a full service advertising agency we approach web design with a holistic, long term approach. Whether you’re upgrading from an old site, or getting a brand new site, rest assured it won’t just look great; it will work well to convert your visitors into sales. We can build every aspect of your marketing strategy into a user friendly conversion machine. Do you need a quote or more information about web production?